It’s Halloween night at the diner, but the real shocks are about to come from some very unexpected places. Another fun Halloween Episode of Roseanne... This episode Nancy believes that Dan hates her... and I must say I love the final prank of the episode. A Halloween party at The Lunch Box brings out Leon’s gay friends as well as Bev’s hair-raising secret. Another fun Halloween Episode of Roseanne... 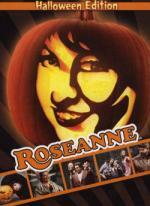 This was a decent episode... but definitely not my favorite of the Roseanne Halloween episodes. Ed McMahon and Sarah Chalke guest star when Roseanne’s ouija board delivers the most unexpected news of all. Another fun Halloween Episode of Roseanne... I liked this one because of a few things... first there is some new stuff in it to enjoy... then they have clips of the other Halloween episodes... and then tops it off with her last kid being born on Halloween. Which for this show was a perfect fit since they always made a big deal out of Halloween. I will never forget the first time I watched this movie... was shortly after I first got my job at the video store (17 years ago)... I remember thinking... all the movies I can watch... and for free!?! I couldn't wait to dig in... and of course the first place I hit was the horror section. And I found this gem buried deep in the huge horror section. (our store had over 10,000 titles total) I must say this movie is one of my favorite (And one of the most underrated) vampire movies out there! Over the years I have watched this movie countless times. And I was completely thrilled when I first heard it was coming out in a 2-Disc edition DVD. This was one movie I preordered as soon as I was able. One of the things I like about this movie is that even though while watching it there is no doubt in your mind this is a vampire movie... they never once use the word vampire in the movie... and you never once see a set of fangs. Another thing I like in this movie is the awesome bar fight scene. I have seen a few bar fight scenes in horror movies... and this is one of the best. Then you have the added bonus that one of the stars of this movie is Lance Henrikson.... a great genre actor. If you never had the opportunity to see this movie before... I highly recommend it. While working the video store I recommended this movie to countless horror movie fans and I seldomly (if ever) had anyone complain about the recommendation. 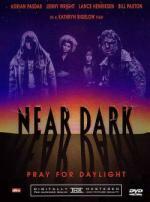 "Near Dark" is certainly one of my favorite vampire movies as well. I watched it first shown at a film festival in Germany the year it was originally released. A great film for all the reasons you pointed out. The bar fight is probably my favorite scene as well, next to the scene in the motel room later on. I haven't seen all these you mentioned... butI have K-19 on my unwatched shelf (where it has been sitting for the last 3 to 4 years!). It is one of the ones I got For about $5 when the video store went out of business.... and I have seen Blue Steel and Point Break.... which I enjoyed both of. I really don't think you would be sorry Kathy!... and you can get it for only $8.99 right now at AMAZON... it is part of their huge HORROR SALE that I took advantage of this month. What if everything we believe about our sacred icons of American history turned out to be a complete lie? Jonathon Schaech ('THAT THING YOU DO!') 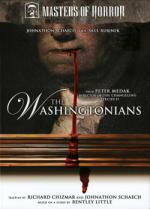 and Saul Rubinek ('FRASIER') star in this gruesome tale about the discovery of a Revolutionary War artifact that proves George Washington’s famed wooden teeth hungered for more than just liberty. How far will a group of homicidal historians now go to keep a hero's grisly legacy alive? Would our government deliberately hide the truth to cover-up the meat of the matter? A feast of answers -- complete with huge helpings of human carnage -- will all be served at the final banquet of THE WASHINGTONIANS. As with all the Masters of Horror episodes... this one was a blind buy. Going into this one I wasn't sure what to expect as I have read a handful of reviews online and they were pretty well mixed reviews. It had just as many people loving it as they did hating it. So I went into it with less then high hopes. But I must say I really enjoyed every minute of it. I thought that it was not only an interesting... but a fun idea. There was definitely some gore to this episode... but it was much less... or at least less graphic then I have seen in some past episodes. Nothing I would be too concerned with. So once again... I remain impressed with the Masters of Horror series... unfortunately I recently found out that the series will not be returning for a 3rd season. What a shame. When young photographer Keyes (Ross Partridge) snaps a picture of a mysterious homelss man, the subject insists he take a dark yet strangely beautiful antique mirror. Back at Keyes' home, the demonic forces of the infamous Long Island horror-house find new life through the mirror's frightening reflections. As unsuspecting victims gaze into the shimmering glass, they witness their own violent demise and soon find themselves helpless to escape their deadly fate. The mirror leads Keyes to discover his own connection to Amityville's dark heritage, and he comes to realize the evil powers of his new possession. Can he stop the dark forces surrounding him and his dwindling group of friends before it's too late? I have been a fan of the Amityville Horror movies for a very long time... these are the movies that made me a huge fan of haunted house movies. I knew there was several that I have never seen before... and this was one of them. Unfortunately I just wish that was still the case. It was not a terrible movie... but it was definitely below average. I would probably rate this one at about a 3.5 out of 10. First of all... it doesn't even take place in the Amityville house. Instead it is a mirror that came from that house... and every time it makes something happen you see the house being reflected in the mirror. So that is the main thing I didn't like. The other is that it was just a slow movie that I had a hard time keeping my attention on. I can not in good faith recommend this movie. Thank you for reminding me of Near Dark. For some reason it wasn't on my wishlist. I don't use Profiler for it, but the www.find-dvd.co.uk watch list. Can't believe I hadn't put it on. But I just checked and found it for £3.95, double disc edition too! Awesome Jon!... have you seen it before? hope you enjoy it as much as I did! Broken Lizard is back…and this time the crazy comedy troupe that brought you 'Super Troopers' is taking you on a trip so outrageously fun...it’s murder. Welcome to Coconut Pete’s Pleasure Island, a tropical, tequila-soaked vacation resort where high-spirited fun soon takes a deadly turn-leaving the island’s hilariously inept staff to battle a machete-wielding maniac as they fight to survive another day in paradise. Filled with sidesplitting humor, scary slasher scenes, and plenty of bikini-clad babes, 'Broken Lizard’s Club Dread' is a comedy to die for! After a boring, somewhat depressing morning at the doctor's office with my mother I felt the need for something light-hearted. So I figured it was a good time to check out a Comedy-Horror. So figured if I was going to do that may as well knock "Club Dread" off my unwatched list. Wasn't too bad... some pretty good laughs... some decent kills... lots of pretty girls in bikinis (and less)... you know a good time to be had by all. Though I have to admit... I was expecting it to be a little better then what it actually was... but that could just be because I went into this one with fairly high expectations. I had heard it was an awesome movie.... and I personally would not go quite that far. I didn't like Club Dread much either. However, I loved Super Troopers and Beerfest was great fun too (all films by the Broken Lizard gang). I think the problem with Club Dread was, despite similar low-brow humour to the other two and a handful of genuinely very good set-pieces, it was let down by it being a parody. As soon as a film takes the mickey out of another genre, it has to be very good to stand on it's own. And it wasn't helped by the silly voices; the cast are great in the other films and didn't put on accents (especially the pathetic British tennis player!). It took itself too seriously if you know what I mean. The other films never quite let you forget that this is a gang of mates larking about and they were all the better for it. Looking forward to Super Troopers 2! Pete, I hope the film was daft enough to lift your spirits, but if not, shout out on here and we'll have a go. Best wishes. Don't get me wrong... it is not like I hated it. I would say I would have to rate it as an average Comedy-Horror. I was just expecting more then what was delivered. but yes that English accent on that one guy was just plain bad! Thanks A lot... I appreciate it.. but this film was enough to lift the spirits. I guess what more can you ask. And he was the director too! If you haven't seen Super Troopers, you really should check it out.